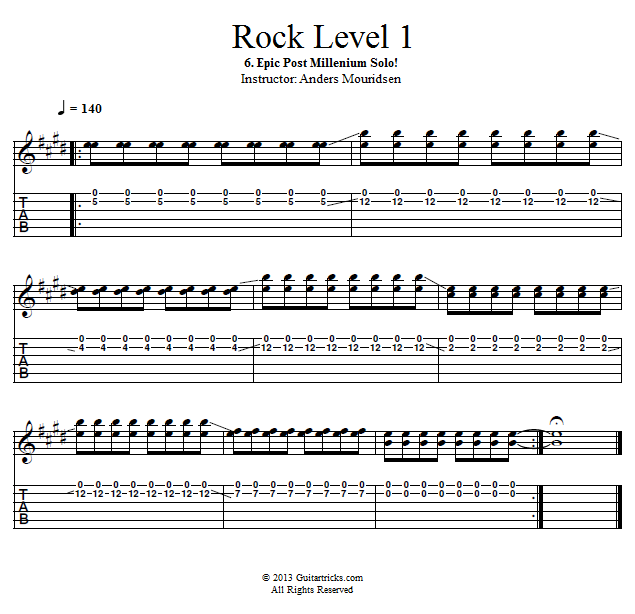 Guitar Lessons: Epic Post Millenium Solo! In this period the traditional blues rock solos were few and far between. The instrumental sections became more of a "whole band" kind of thing, just fronted by the guitar, which often played melodic and driving lines. For this solo we'll use a "horizontal" E major scale along with an open adjacent string to create an epic instrumental section for our practice tune!